Hawaii may be a U.S. state but at 2,400 miles from San Francisco it can feel like a world away. Its unique situation means that honeymoon couples can enjoy the comfort and convenience of home while the tropical climate and incredible landscape remind them that they are actually in the middle of the Pacific Ocean. If that sounds like your idea of a perfect honeymoon you may be wondering what the best time of year is to go to Hawaii… So let’s dive in! There really is no bad time to visit the Hawaiian islands weather-wise. Being so close to the equator means that variation in temperatures throughout the year is limited. You can expect an average of 85° F in summer (May to October) and 78° F in winter (November to April). August is generally the hottest month and January the coldest. The most rainfall occurs in November. Trade winds blow across Hawaii 80% of the time. They bring gentle cooling breezes from the northeast and make even the hottest days more pleasant. Each island has a wet and dry side. The side of the islands that the winds reach first (the northeast) is called the windward side. The windward side will be windier and wetter. Moisture carried in on the wind will bring clouds and rain as the air is forced up by the mountains and condenses. The wind has to travel across the islands to reach their leeward side (the southwest). By the time the trade winds reach the leeward side, they are weaker and drier making for a very different climate. Kona winds blow from the opposite direction from the trade winds, the southwest, but only in the winter months and for short periods of time. They bring with them muggier conditions and sometimes rain. Island climate is of course greatly influenced by the winds. 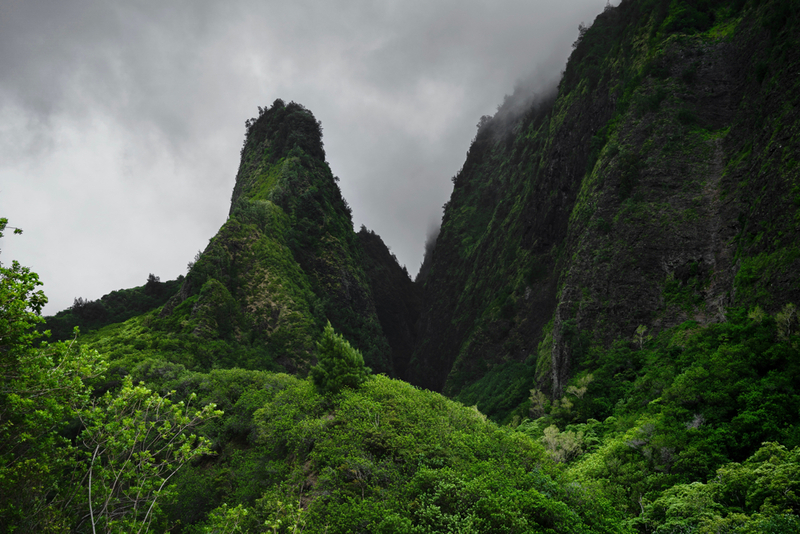 The Big Island of Hawaii has 8 of the world’s 13 climate zones! Each micro-environment has its own weather, landscape, plants, and wildlife. Within the span of just a few miles, you can find tropical rainforests, cool alpine regions, arid deserts, and sunny beaches. A completely different honeymoon experience is often just a short drive away. Vog (volcanic fog/smog) that irritates the eyes and lungs may be present when the Kīlauea volcano is erupting. Sulfur dioxide emissions react in the atmosphere producing fine particles which scatter sunlight and produce a haze. Areas downwind of Kīlauea on the Big Island’s leeward side are usually the most affected. Hurricanes are rare in Hawaii. A high-pressure region to the northeast helps the water temperature to stay stable, shielding the islands from large powerful storms. Just four hurricanes have had a significant direct impact on the Hawaiian islands since 1957. 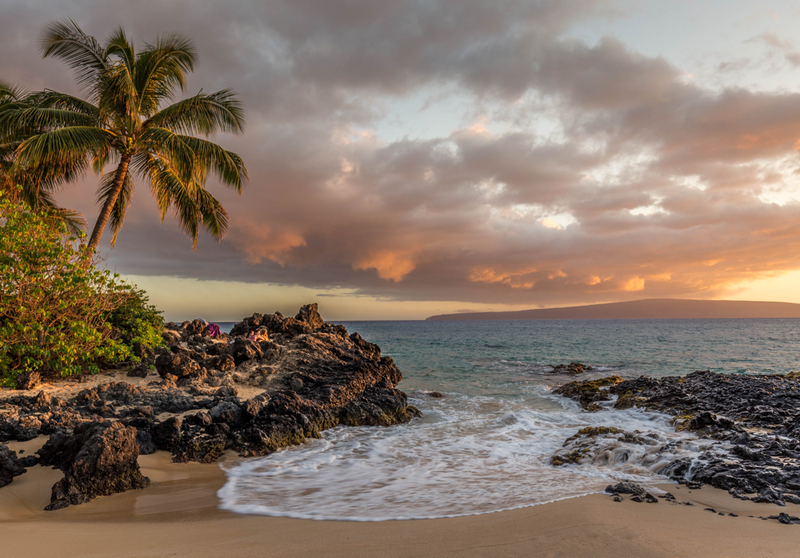 The most popular times for trips to Hawaii are the school summer holidays, mid-June to end of August, and during the North American winter, especially Christmas and New Year’s. These are Hawaii’s high seasons and will be busier and more expensive. Honeymoon couples can find lower airfares and quieter beaches during the low seasons from mid-April to mid-June and from September to mid-December. Different parts of the year bring their own unique experiences to Hawaii. If you hope to take part in any of the activities below, be mindful of the best time to visit. Surfing: November through March. 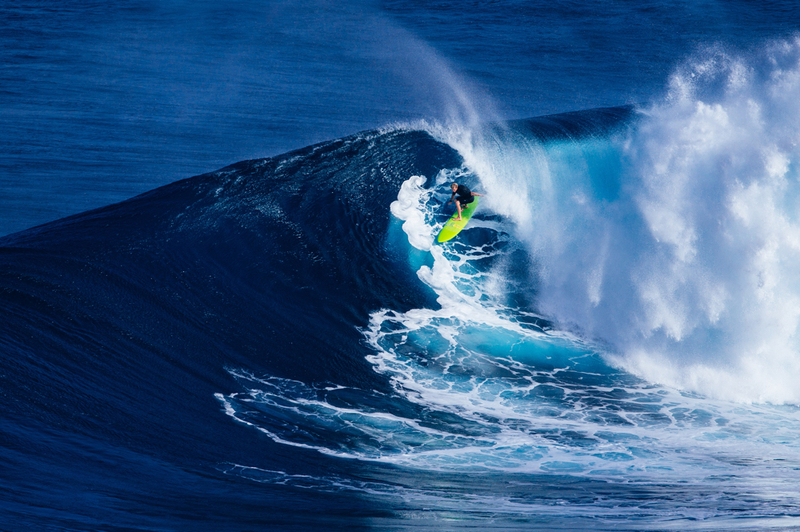 Expect the largest swells of the year in winter especially on the north and west shores of the islands. Whale watching: January through March. Humpback whales travel 3,000 miles to mate in Hawaii’s warm waters and put on quite a show! Snorkeling: May through September. The water is warm, the swell is low, clouds and rain are less likely. Ironman World Championship: October. A huge event that takes place annually on the Big Island of Hawaii. We work with resorts located both in the mainland United States as well as in Hawaii, who have some amazing offers for those couples willing to travel in non-peak times. We also have Remarkable Honeymoon Packages with up-to-date offers at nearly every resort whether it be located on Maui, the Big Island, Kauai, or Oahu. Some specials are very time-sensitive and therefore we recommend you contact us to put options together for your specific needs. 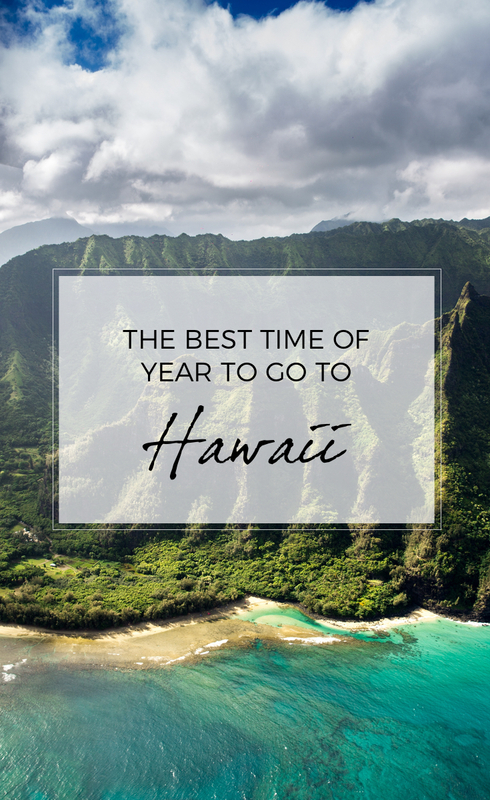 We hope we answered any questions you may have had about the best time of year to go to Hawaii. If you have any other questions, we’d love to hear from you! If you’re ready to discover pricing for your dream Hawaii honeymoon, please request a quote today. Many of our honeymoon couples have revealed to us that they initially had hesitations about working with a travel agent. One of their biggest concerns was that they would find a better price for their trip somewhere else. 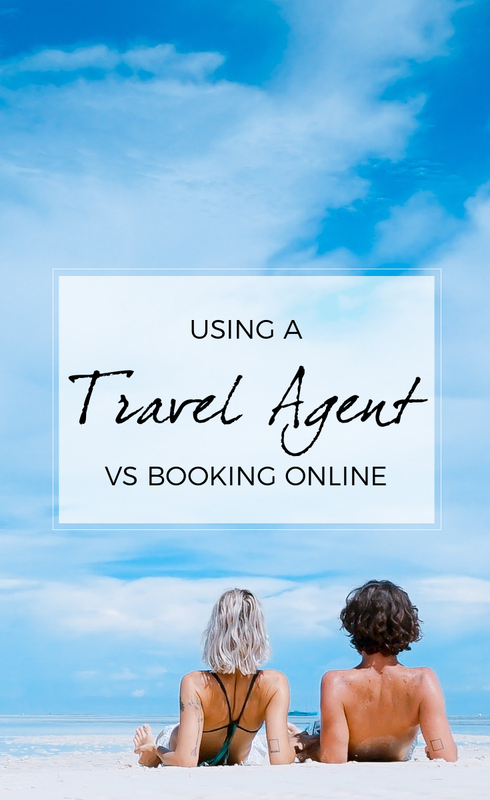 We understand how frustrating and disappointing that would be so we thought we would clear up some common misconceptions about using a travel agent vs booking online. We often get asked “Do travel agents price match?”. In short, yes we do! Travel agents have access to the exact same offers as online booking engines such as Expedia and TripAdvisor. We offer the lowest published flight prices – guaranteed – and can often find even lower flight prices through our wholesale partners. In essence, if you find the same trip for a lower price elsewhere, we will match it. When you compare our pricing to travel sites like Expedia, make sure you are comparing apples to apples. 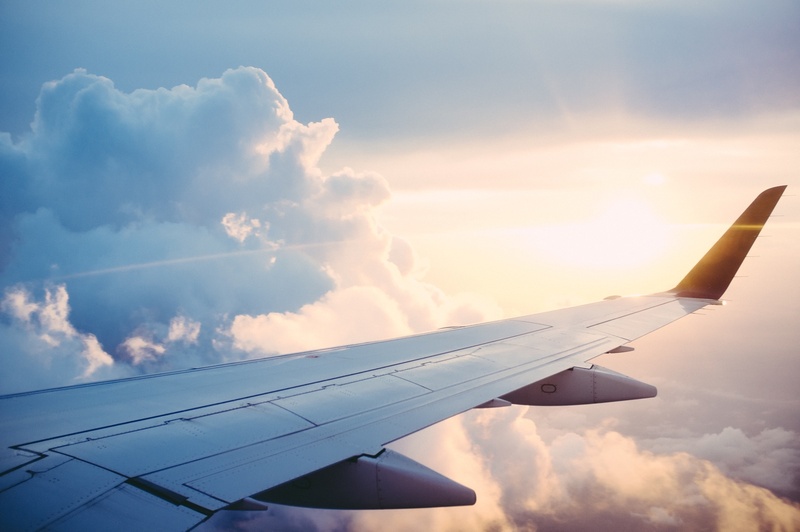 Check the flight times: Will the cheaper option have you flying at a more undesirable time? Will you arrive at your destination late at night or fly back home late in the day long after you have checked out of your hotel? Look at layovers. Will you spend long hours at the airport in between flights or maybe even have to book an airport hotel for a night? Are airport to hotel transfers included or will you have to make your own way? Remarkable Honeymoons will check all of these things and make sure they are the best possible. We also include unique amenities such as a welcome lei, first-class lounge access, or even permission to skip the line at immigration (depending on your destination). The impersonal experience of an online booking engine simply can’t compete with our travel agent service. We get to know you and what you are dreaming of in a honeymoon. We have visited the destinations and often the very resorts ourselves. We know which resorts cater best to active couples, foodies, spa lovers, etc. In most cases, we will confirm all of your travel components before you have to commit and even then only a deposit is usually due. Two honeymoons may cost the same but offer very different experiences. When you book with Remarkable Honeymoons we offer every possible upgrade, include unique and unexpected experiences, and ensure every detail of your trip is tailored to your personal preferences. Our clients often send notes of thanks during their honeymoons, thrilled with their upgraded villa or special treatments. We only work with extremely reputable wholesalers. We also communicate directly with resort management as soon as we make your reservation and throughout the entire process. We have access to the very best experiences available while sites like TripAdvisor often promote no-frills, bottom-of-the-barrel experiences. (Remember that we price match if budget is paramount!) The couples we work with think that a honeymoon is the trip of a lifetime and want only the best. We strive to make every travel experience special regardless of the occasion or destination. Why not contact Remarkable Honeymoons to see what we have to offer? There is no obligation to book through us but we would love to discuss your plans and put together the perfect itinerary just for you. Remarkable Honeymoons’ very own Kristin Otto recently visited Namale Resort and Spa in Fiji. She was kind enough to write about her experience and review her trip. Enjoy! As I settle into my seat for the 50-minute flight to Savu Savu on the way to Namale Resort and a romantic getaway in Fiji, I’m still feeling a little wonky from the 11-hour flight from Los Angeles across the Pacific to Nadi. The Fiji Airways, 19-passenger Twin Otter takes off, begins its ascent, then follows the coastline north towards the island of Vanua Levu. I am treated to a stunning panorama of beauty. Looking directly out of my window seat, I see lush and verdant rainforest. When I look the other way, I see spectacular shades of blue dotted with tiny island specks spread out over the tropical sea. Pacific Blue. B’Dazzled Blue. Azure. Wild Blue Yonder. It’s mesmerizing! I’m definitely alert and awake now! I can’t possibly look fast enough in both directions to take in everything there is to see. I have never seen the Pacific look this brilliant. The landing in Savu Savu is yet another thrill as the plane glides over scenery bursting with color. I can’t help but grab my smart phone and begin making a video to play again later, share with family and friends and relive this experience over and over. The Namale Resort and Spa shuttle van is waiting to greet us when we deplane. Bula! Bula! Hello! After our bags are loaded into the van, we take the short drive from the airport towards the resort. Everyone waves as the van passes by. All the locals smile and nod in greeting. We slow down as we drive through the welcome gate at Namale. There we are met with more Bula greetings from the staff. Our Fijian hosts are as excited that we have arrived as we are to be here. I haven’t even stepped out of the van yet and I’m already in love! I already know that I will be planning a trip to return to this beautiful paradise and these beautiful kind people. As the van finally slows to a halt at the Namale Resort and Spa reception area, the entire front desk staff has gathered to sing and welcome us to this special place. I pause to reflect on how I am feeling and I appreciate this moment. I have flown over 5,630 air miles and it feels like I have just arrived home! From our first welcome song and drink upon arrival I feel like I am a part of the Namale family. The staff is kind, genuine and attentive. Namale is an excellent choice for a luxury Fiji honeymoon, a luxurious all-inclusive romantic vacation and exploring both rainforest and reef in Fiji. My husband and I are continually impressed throughout our stay with the level of care and attention provided to each guest. Employees anticipate our needs before we request something special. During our first dinner at the main restaurant, the servers ask if we have any special dinner preferences. Wow! Of course we asked for a lobster dinner! The next evening, the chef and staff make sure to have not just broiled lobster tail on the menu, but steak and lobster combination! All meals are beautifully prepared and well presented. Everything is wonderful! The staff encourages us to take advantage of the private dining venues, even though this represents more work for them. They reserve a private, romantic, champagne dinner for us under the stars and overlooking the sea. This incredible evening comes with our own private server! The setting at dinner includes flower petals and candles to light our path to our beautifully set table. These memorable and romantic touches provided by Namale Resort are all part of the comprehensive all -inclusive package available at the luxurious Namale Resort and Spa. During our stay, we also are given the opportunity to enjoy a themed buffet dinner and the chance to dine with Namale management, staff and other guests. Throughout the vacation I think about what a memorable experience it is, one of the best of our times in Fiji. The Fijians exude happiness and it is infectious. Namale Resort seeks to provide an unequaled guest experience. This excellence was observed in all areas of the resort including management, front desk, restaurant, dive shop, spa services and even the worker who changed the temperature on our villa dipping pool! Namale Resort and Spa is absolutely perfect for a luxurious all-inclusive Fiji honeymoon. It’s also perfect for an anniversary or destination wedding in Fiji. This stunning, 525-acre, adults-only property has an array of excellent accommodations ranging from Garden Bure rooms, Ocean Deluxe Rooms, Honeymoon Bures as well as a several ocean front villas. The rooms are spacious and private. Everything feels secluded because of the dense tropical landscaping and the tree-lined walkways throughout the resort. The resort has been meticulously designed to allow for the utmost privacy to each of the bures. Regardless of which accommodation type guests choose, I have no doubt guests will be delighted with room amenities such as plush robes, a mini bar with juices, beer and other beverages, as well as fresh cookies and complimentary laundry service. Namale Resort has truly thought of everything to ensure a memorable stay for their guests. Guests can enjoy luxurious robes on lazy mornings, while sipping coffee and watching the waves sneak up to the shoreline. The bures and villas offer cozy sitting areas as well as private and spacious decks for sunning and star gazing. A Honeymoon Bure will offer an incredible ocean view, a private dipping pool, an indoor Jacuzzi tub as well as both an indoor and outdoor shower. Each of the bures is delightfully secluded and offers plenty of privacy. Ours feels like a treehouse. 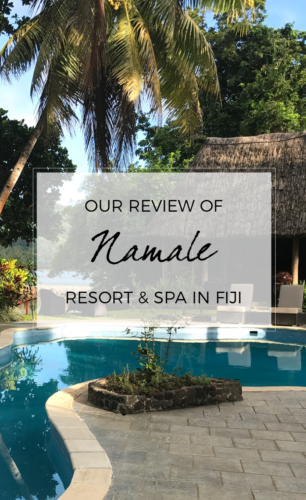 With a wall of windows overlooking the sea and tropical foliage and trees surrounding the suite, Namale has managed to bring the outside in. Everything inside the room is as perfect and wonderful as everything outside of it. Our bure is so incredible and ideal, I don’t immediately feel the need to get up, venture outside, and begin exploring what will be my Fijian home for the next week. I open up the door of our villa anyway, step outside and let the magic that is Namale Resort unfold. Namale Resort and Spa offers an incredible all-inclusive experience. There are exclusive dining venues throughout the property for guests to reserve and enjoy. Guests can choose to share a spectacular sunset while enjoying cocktails and appetizers, enjoy a dramatic sunset in a heart shaped Jacuzzi spa set on a bluff overlooking the sea, or arrange a private champagne waterfall breakfast or lunch. All guests at Namale Resort are welcome to enjoy meals and beverages virtually anywhere on the 525-acre property, including poolside or in the privacy of their bure or villa. My husband and I enjoyed having lunch and cocktails served on our private deck while we enjoyed our private dipping pool in Fiji! Namale Resort is an excellent choice for a memorable and luxurious romantic getaway in Fiji. 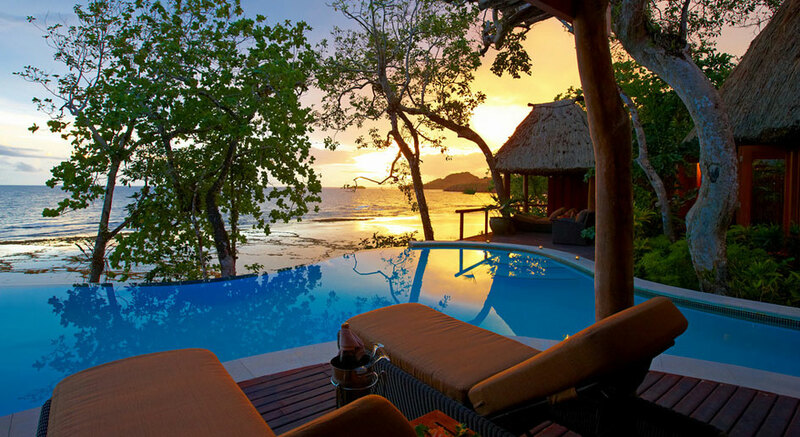 Namale is an excellent choice for an oceanfront bure with private dipping pool in Fiji. The ambiance of this tropical paradise is very relaxed making it easy to spend quality time as a couple unwinding and enjoying simple pleasures. Namale Resort also has much to offer guests in the area of active pursuits. Each day, the resort offers a variety of activities for guests to enjoy including a daily afternoon snorkel excursion as well as world-class diving. Did you know that Fiji is the Soft Coral Capital of the World? Put on a mask and fins, take a giant stride from the boat into the water and meet some more locals! The calm waters around Savu Savu are teeming with marine life. Discover something new with each flutter kick exploring the various coral heads, ledges and tunnels of the underwater world around Namale Resort. The coral here is stunning! The resort also offers reef walking, a waterfall hike, and a variety of other active and cultural activities. Guests have use of the fitness center, tennis courts, an indoor basketball court and a game center with a bowling alley. Allow plenty of time to schedule a few services at the award winning, Namale Resort and Spa. The view is breathtaking and there is an excellent selection of treatments to choose from. In the evening, guests will be treated to a variety of entertainment from the local villagers. The evening entertainment is memorable and includes both Indian and Fijian themed evenings with song and Meke dance. Each of these evenings provides opportunity for guests to mingle with the locals. At Namale, guests can experience the traditional Kava ceremony which is a ‘must do’ during a visit to Fiji. Each village has their own customs about this ceremony. Downing a cup of Kava with the customary ‘clap’ with new Fijian friends at Namale is an unforgettable experience. There are endless reasons Fiji is an excellent choice for a honeymoon destination. There are endless reasons why Namale Resort is perfect for a luxurious Fiji honeymoon or destination wedding in Fiji. Namale Resort is also an excellent choice for world-class diving as well as world-class snorkeling in Fiji. Enjoy exceptional service and sumptuous dining options in private and beautiful settings. Namale Resort’s all-inclusive package has considered virtually everything! Namale has an award-winning spa and many activities that will keep you busy for a week or more. At night, enjoy a stunning place to fall asleep in this tropical paradise! Take a step back in time. Take a step into perfection. Namale Resort is truly unforgettable. Namale Resort has everything you’ve always dreamed of for a perfect five-star honeymoon in Fiji. Contact Kristin Otto today to learn more about Fiji and the beautiful Namale Resort and Spa! Matamanoa Island Resort is an adults-only resort set in Fiji’s pristine Mamanuca Islands. 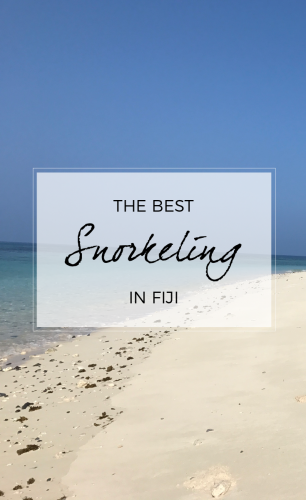 It truly offers some of the best snorkeling in Fiji. Couples can swim into the ocean just a few steps from their bure and see gorgeous fish and coral. For those who wish to go further afield, scuba and snorkeling trips on a glass-bottom boat can be booked right from Matamanoa. When you’re ready to be adventurous, you can also try snorkeling all the way around this amazing private island in Fiji. Matamanoa Resort is a secluded property fringed by a coral reef. It is easily accessible by ferry from Port Denarau twice each day. It is a great choice for a honeymoon if you prefer a smaller, quiet, boutique style private island in an idyllic setting. The views, sunsets and snorkeling opportunities are fantastic. Choose to lounge around on the beach or in your private dipping pool with an amazing view. Reserve one of the private North Beachfront villas with a dipping pool and you’ll also have an incredible view of Monuriki Island in the distance. Monuriki Island is the island where Castaway, starring Tom Hanks was filmed. The views here are simply breathtaking! Breakfast is included in your nightly rate at Matamanoa. The bar serves all of the popular tropical cocktails and drinks along with many exotic cocktails for you to try. Stay a week so you can try them all. Dining in the Vale Ni Biau Restaurant (House of Waves), you’ll have themed buffets as well both international and Fijian fare to choose from at affordable prices. Guests will enjoy a spectacular ocean view from every table. Matamanoa provides entertainment, has a nightly torch lighting ceremony and has a beautiful spa set in natural surroundings. 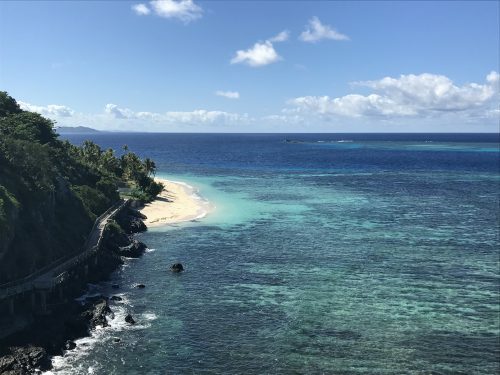 Having recently visited Matamanoa and toured each of the room categories, our very own Kristin Otto can provide you with additional highlights and room recommendations for your romantic honeymoon at Matamanoa Island Resort. Contact Kristin today if you’re planning your honeymoon and are looking for the very best snorkeling available in the Fiji islands! Christmas is now just days away. Are you still looking for the perfect holiday gift for that special someone? The travel specialists at Remarkable Honeymoons are here to help! We know firsthand how difficult it is to shop for the person who has everything. But one gift that is always sure to delight is the gift of travel. Not only will you take your loved one’s breath away with such a thoughtful surprise, but they will experience the joy of anticipating their trip for weeks or even months to come. And of course the vacation memories last a lifetime. What a meaningful Christmas gift! While the gift of travel can be complicated, we make it a seamless and easy process. All wrapped neatly for you to put under the Christmas tree! We do require a small deposit if the actual trip is not yet booked. However, once booked this deposit goes toward the total cost. If you are just not sure where that special someone would like to go, we can still put a beautiful gift package together with a fun certificate and all of the goodies that go along with it. We do require a small deposit that will go toward the cost of the trip, and will then Fedex the gift pack to you all wrapped and ready to put under the Christmas tree. We can of course also make suggestions based on your budget and your loved one’s interests. Finish Your Holiday Shopping Today! Let us help you give the perfect gift this holiday season. Call us today on 1-866-614-1803 to make sure your Fedex package arrives in time for Christmas! 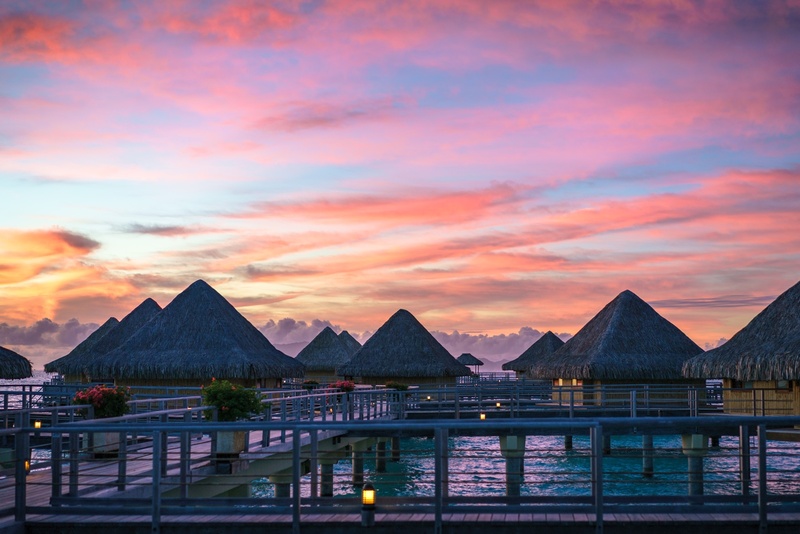 Although many of our honeymoon couples fall in love with pictures of Bora Bora and its spectacular overwater bungalows, they’re often not exactly sure where Bora Bora is. Which hemisphere is it in? Are there hurricanes? 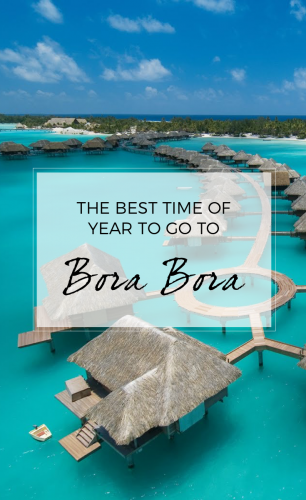 What is the best time of year to go to Bora Bora and will that work with their wedding plans? Let’s explore! French Polynesia is a group of islands in the middle of the Pacific, between Australia and South America. It stretches over an expanse of more than 1,200 miles so the weather varies as you move closer to and farther from the equator. The popular honeymoon destinations of Bora Bora, Tahiti, and Moorea are in one of the central archipelagoes, the Society Islands. French Polynesia is in the southern hemisphere so summer in North America is winter in Bora Bora. However the very best time of year to visit is actually between May and October. The temperatures are lower (low to mid 80s) as is the humidity. This makes for perfect, relaxing honeymoon weather! With that being said, the best time for the lowest prices falls between December and March. This is the rainy season but those of us with Remarkable Honeymoons who have visited Bora Bora, Tahiti, and Moorea in these months have found that the weather is rarely bad. Afternoon showers are common and humidity is higher, but we have not experienced solid rain. 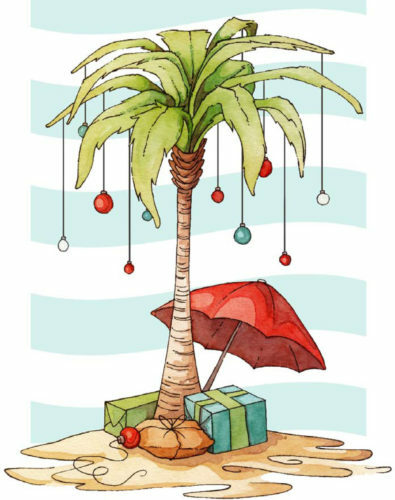 In addition, our clients have usually had quite nice weather, save for the very few who encountered a tropical depression. Hurricanes are called cyclones when they are in the South Pacific and they are very rare. However South Pacific storms can still bring plenty of rain between December and March. We work with resorts located both in the United States as well as on Tahiti, who offer some amazing specials for those couples willing to travel in non-peak times. 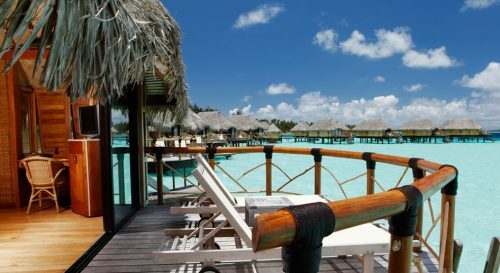 We also have Specials with up-to-date offers at nearly every resort whether it be located on Tahiti, Moorea, Bora Bora, Le Taha’a, Tetiaroa, Raiatea, or elsewhere. Some specials are very time-sensitive and therefore we recommend you contact us to put options together for your specific needs. We hope we answered any questions you may have had about the weather in French Polynesia and the best time of year to go to Bora Bora. If you have any other questions, we’d love to hear from you! If you’re ready to discover pricing for your dream honeymoon, please request a quote today. We are pleased to announce that Pippa Middleton has chosen The Brando as her Tahitian Honeymoon location. We could not agree more that this is the perfect spot for a Honeymoon location. Most spend 4 or 5 nights here and then go to another location or two such as Bora Bora or Le Taha’a, to round out the Honeymoon plans. 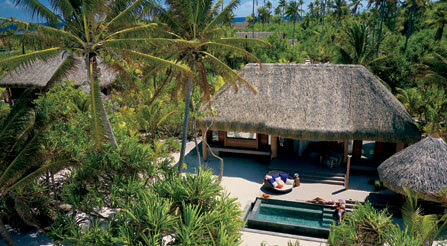 That being said we hear that President Barack Obama spent nearly a month at the Brando this year writing his memoirs. 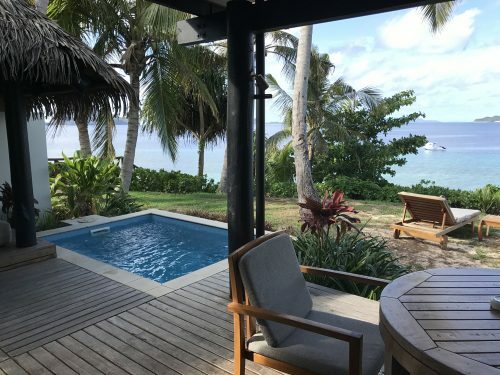 We at Remarkable Honeymoons have first hand experience with the Brando, as we have stayed on this lovely island and know exactly what to expect. We also have access to some of the best rates possible at The Brando. Virtuoso amenities may be changed at any time by the resort. Are you ready to visit The Brando? What are you waiting for? We are here to help you plan this adventure from start to finish! 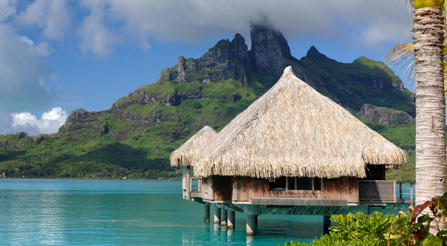 Bora Bora Luxury Honeymoons – now available with some outstanding airfares from Los Angeles. Contact us for pricing on this incredible luxury resort that has everything you could possibly ask for in an exotic dream destination and enjoy special Virtuoso amenities! 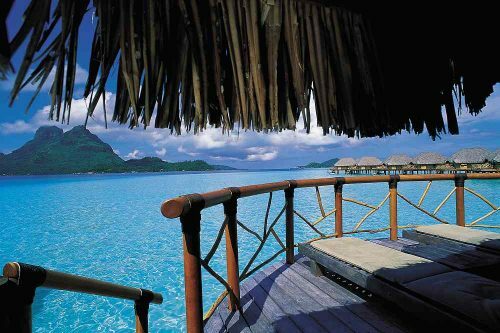 The overwater bungalows (also referred to as Villas) here are simply spectacular! Relax in your own romantic, thatched roof, overwater bungalow mere steps from the lagoon teeming with marine life. The overwater bungalows boast a minimum 1550 square feet of privacy in paradise and also offer butler service. The St Regis Bora Bora location allows excellent views of Mt Otemanu and the main island of Bora Bora. The resort has a variety of activities for you to enjoy as well as a full service spa and 4 excellent restaurants. Seeing is believing in one of these ‘most talked about’ Villas in French Polynesia. 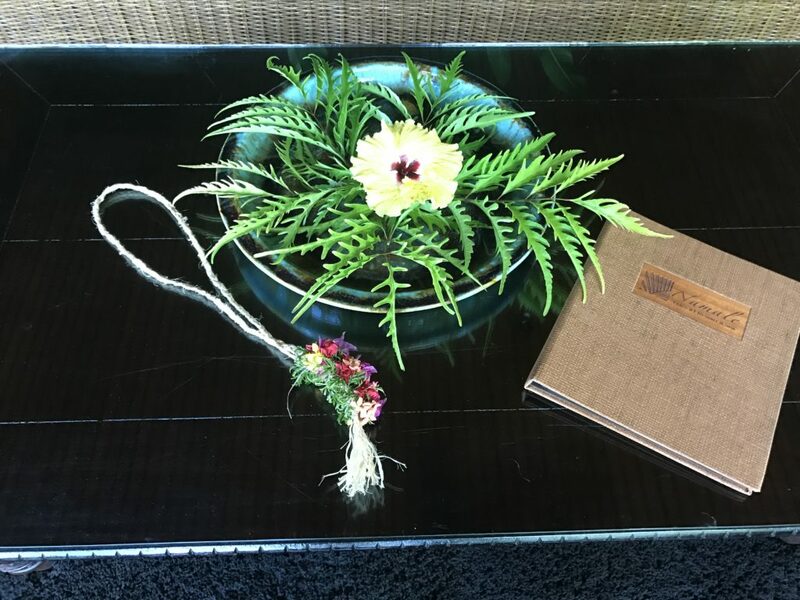 A Remarkable Honeymoons package will include a fresh flower lei greeting, round trip resort transfers, your choice of accommodations as well as a farewell shell lei. Here’s an offer you can’t refuse: An exotic stay at The Brando has just become more affordable with a special stay and save offer! The above sale is also combinable with their fabulous Fly Free offer that is also valid until June 30, 2017 with a minimum stay of 3 nights with all-inclusive plan. We don’t know how long this special will be available so act quickly! The Brando on Sale travel and booking dates are subject to change. The Brando is a true all-inclusive unique luxury resort on French Polynesia’s breathtakingly beautiful private island of Tetiaroa – an atoll composed of a dozen small islands surrounding a sparkling lagoon 30 miles northeast of Tahiti. 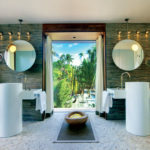 With access to the island by private plane, the resort features 35 villas with plunge pools on white-sand beaches frequented by sea turtles, manta rays, and exotic birds. The resort is designed to reflect Polynesian lifestyles and culture, and it fuses carefree luxury with cutting-edge technology. The Brando created one of the finest eco-friendly resorts in the world. It is 100% energy independent and supports a number of research and conservation initiatives. The Brando is set within a biodiverse natural sanctuary; the resort offers naturalist-led tours and a professional-led photo safari. You can learn Polynesian dance or how to play the ukulele, or you can take part in plentiful watersports. Here you can also enjoy the Varua Te Ora Polynesian Spa. It is a unique haven of tranquility nestled on a restful pond in the heart of the atoll of Tetiaroa. 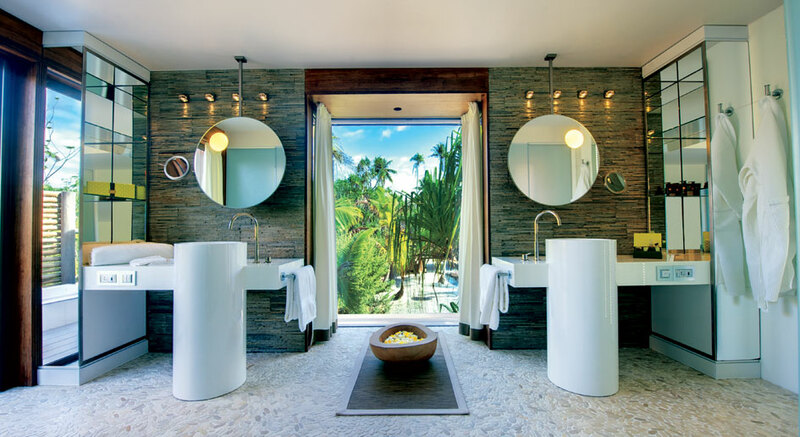 Varua, meaning “the Soul”, perpetuates the tradition established by the Royal family who used to retreat here to relax and indulge in beauty rituals. This is the island you dreamed of as a child when the storybook was closed. It’s as if you created your own private world and stepped barefoot into your imagination. With its white sand beaches, swaying coconut palms, colorful birds, and sparkling lagoon, Tetiaroa is a dream paradise. We have stayed at the Brando and can offer first hand knowledge of the resort and what it has to offer. If you could visit one place in the South Pacific, would it be Tahiti, New Zealand or Australia? Thankfully, now you do not have to choose! Air Tahiti Nui has a Three Country Explorer Pass on sale and it’s three countries for the price of one (Circle Pacific Airfare Sale)! Now it is easier than ever to cross all 3 off your bucket list when you travel from Los Angeles and continue in one direction – either to Tahiti, New Zealand, then Sydney. Or circle the other direction to Sydney, New Zealand then Tahiti. Either way, you’ve visited 3 amazing countries for the experience of a lifetime. We are able to combine this sale with accommodations in all three locations and build you the perfect getaway. *Prices are in in US Dollars. Fares include all taxes, fees & fuel surcharges. Subject to change at anytime prior to booking as airlines do make changes that are beyond our control.